The debate over augmented reality is a powerful example of how important it is to stay true to your brand purpose. Marketers just got schooled by artists. Earlier this month, Jeff Koons used Snapchat to bring some of his most iconic artworks to user screens through the app’s augmented reality feature, sparking controversy in New York’s artist community. 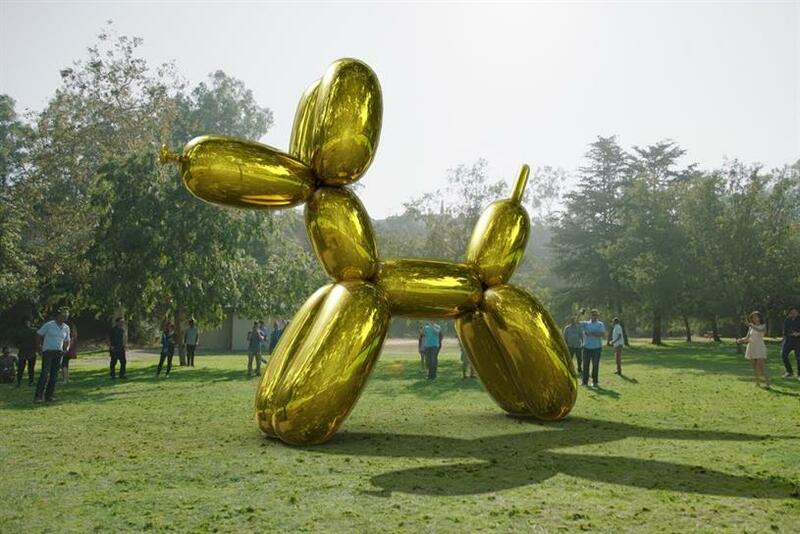 Sebastian Errazuriz protested the act, posting via Instagram a "vandalized" version of Koons’ Balloon Dog sculpture in a "symbolic stance against an imminent AR corporate invasion." And that is exactly what an artist should do—fire back and rebel. But while Koons was able to use Snapchat as a hub to democratize artists and their work, he has also shifted the focus of AR from branded content to protecting the use of our virtual public space. In a sense, this debate over AR is a powerful example of how important it is to stay true to your brand purpose. With the explosion of AR–everyone from Snapchat to Apple and Google are in the game–mass adoption is around the corner. And as people embrace augmented content, the Koons x Snapchat case shows marketers how they can use AR to not only create content but also spark cultural conversations that more meaningfully advance their brand’s purpose. AR is part of the strategy, not the strategy itself. It’s about creating a sustainable brand experience that resonates in the real world and reinforces positioning. Koons’ brand is all about giving familiar shapes new weight by transforming them into monumental sculptures that reflect their surroundings. His use of Snapchat’s AR keeps exactly with this mission of making the ordinary extraordinary in a whole new way that’s accessible to everyone. His endorsement of Snapchat also fit nicely with his positioning as the app’s AR removes friction from the creative process. Whether it’s to disrupt the user’s environment with branded 3D imagery through Snapchat or to complain about it on Instagram, the common denominator in these conversations is still social–and shared—content. Social users are no longer just passive recipients of messaging, but active producers and distributors of brand content—even more so on Snapchat. AR experiences should be designed keeping this in mind, allowing users to be participatory and continue evangelizing. Consumers become ambassadors only when they become a part of the visual narrative of a brand. The past few years of technological advancements have led us on a collision course–a merging of the digital and physical worlds. People are using social more than ever as way to enhance, rather than escape their surroundings. This provides marketers with the kind of golden opportunity that only comes around every couple of decades, but it’s important to seize the opportunity and not saturate it. Errazuriz’s questioning of "how much our virtual public space we are willing to give to companies" isn’t anything new. A similar debate arose around the launch of "Pokémon Go" last year. With concerns around public space being dominated by subtle corporate advertising, branded AR needs to be as contextual as possible. Of course, AR is becoming entertainment. It has to be a fun and pleasing experience, but it’s also got to be goal-directed. People don’t want impersonal advertising anymore: They want to be able to research and choose content that helps them reach their personal goals. Koons, for instance, gave artists a new, efficient platform to express their vision, while giving Snapchat users fast, free and universal access to the arts. By using AR experiences as a way to recognize people’s individuality, a brand will connect with them on a hyper-personal level. If you want your brand to be competitive, it has to be disruptive. While AR technology is fairly new, it can clearly be a driver of engagement and awareness. No one has truly emerged as a leader yet, and that’s because marketers are too often frozen by fears of giving away budgets to emerging channels. The truth is, the modern consumer is faced with endless choices, so brands that surprise them and help save them time will become more appealing. Benjamin Lord is global director at Kinetic.